Not everyone sees the point of a CRM system, especially if they have had quite a comfortable existence before it was implemented and now there’s a whole load of other stuff added to their job description. It may be that staff training has not been thorough enough or that motivation within the company needs addressing because there are wider issues relating to pay and working conditions. It is crucial that the new CRM system becomes policy from the top down and isn’t simply an enthusiastic marketing department or customer service initiative lacking director level support. Moving from company focus to customer focus will be a big mental change for some employees, and indeed whole departments. 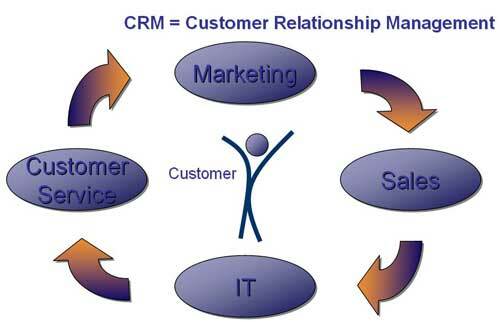 Your CRM strategy therefore needs careful planning and no assumptions made about everyone’s willingness to contribute. Clear and open dialogue about the value of online CRM and the CRM system as a whole is essential for success. All employees have something to say about how to improve relationships with customers and how to exploit opportunities for sales, but how often are their opinions actively and formally solicited? It is the people working at the coal face, who speak to customers daily, who can really turn around a company where CRM is an issue. Managers are role models for the rest of the staff and need to lead the cultural changes in the company for any CRM system to work. Every issue needs to be addressed from a customer’s point of view, and where the customer is going to lose out, CRM is going to suffer. In some cases going back to square one and exploring customer focused solutions is going to be the best option. Moving from one way of operating to a fully integrated CRM system can be a massive change for an organization, and sometimes breaking it down into planned steps can be more successful than setting up in one go. Set up pilot schemes to test the waters, for instance with online CRM where social networking becomes means of communicating with customers with issues. Moving gradually forward from one stepping stone to another is favored by many companies introducing a CRM system where none existed before, as making amendments to the new policy is then more manageable. A CRM system seems like a great idea to start with, until you realize your current IT won’t cope with the data coming in and the analysis required. It is worth getting in a professional consultant if you don’t have the skills in your workplace to assess the capability of your current technology. A lot of information is going to be stored, but can you professionally assess which of it is truly relevant to your CRM system? Are you storing the data legally? Chris Brown specializes in the area of CRM and he is happy to share his knowledge with the audience.